Made in the UK our range of Resin Bound & Bonded driveways kits will transform the look of your existing driveway or pathway. 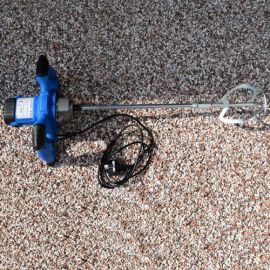 These kits are easy to install and can be laid by yourself or by a professional contractor. 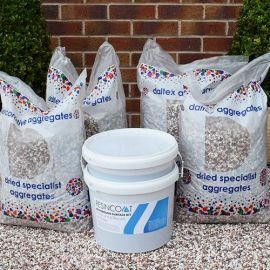 The beauty of Resin bound driveways is that they can be laid over existing concrete or tarmac which means a much faster installation with little disruption. At Resincoat we manufacture our Resin products in the UK guaranteeing high quality finishes. We ensure you receive the finest Resin for a professional looking finish. 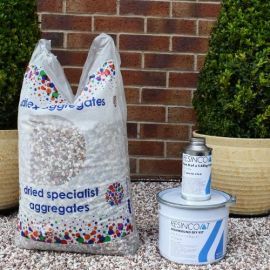 Boasting an eye catching design the Resin bound and bonded kits are offered in a wide range of decorative aggregates in various colours. Our extensive selection allows you to tailor your driveway to your own style with each one finished to the highest standard. Fully permeable the driveway allows water to pass through meaning no more puddles or weeds. The smooth, attractive finish requires little maintenance once installed ensuring it remains looking as good as new. Additionally you do not need to worry about loose gravel as its smooth, accessible finish makes it foot friendly. A resin bound driveway is a fantastic solution for any home with our kits offering durable designs ensuring they look great for many years. Resin Bound Driveways There are 8 products.